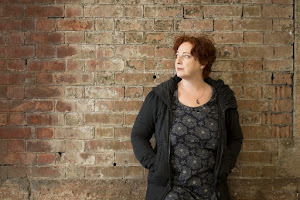 I am absolutely thrilled to welcome to the blog today my great friend and wonderful writer, Yael Unterman! Yael and I go way back - all the way to 1998, when I was also living in Jerusalem, and we can honestly say that Shakespeare brought us together - in more of a practical rather than literary way which I won't go into here! Since then, she and I have both seen our names on the spines of two books - Yael's first book is a biography of Professor Nehama Leibowitz, a fascinating teacher and Bible scholar. And she's here to chat about her brand new book, her first short story collection, The Hidden of Things: 12 Stories of Love and Longing (Yotzeret Publishing, 2013). Yael: I’m in Jerusalem, in the southern neighbourhood of Katamon, populated by a high percentage of English speakers and of singles. My bedroom window looks out over a fruit-tree-filled organic garden. Two fir trees outside my window make a nice perch for small blue-breasted birds. 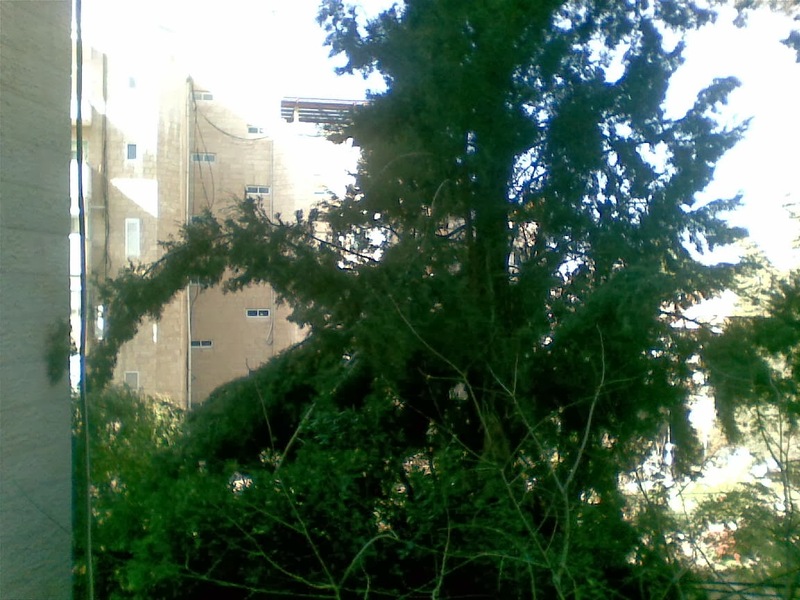 I named the trees Yachin and Boaz, after the two bronze columns at the entrance to Solomon’s Temple (not sure why they gave names to columns, but it makes me smile…). Sadly, in a recent heavy snowfall, one of Boaz’s branches snapped and he is now sagging badly. Y: I grew up in Manchester, but have lived in Jerusalem for all of my adult life. Though I do speak fluent Hebrew, I admittedly live in a bit of an English-speaking bubble, and also I travel abroad four or five times a year. This means that I am not fully immersed in the local life here, though I feel very connected. Y: Though my first book was an academic biography of a famous female Bible teacher, I’ve always adored fiction, so I’m delighted that my second book is in this genre: The Hidden of Things: Twelve Stories of Love and Longing, published December 2013. 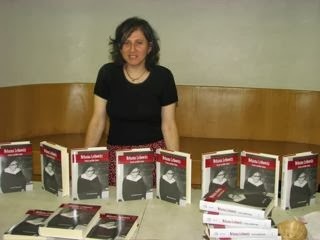 The first few stories were forged in the crucible of the Shaindy Rudoff MA programme for Creative Writing at Bar-Ilan University. Take-no-captives feedback was the norm, and I learned to pull up my writing socks, producing some interesting but fairly flawed first attempts. After the programme’s end, new stories continued to emerge, crystallising around an image, a character, a fragment of thought. Within three years or so, I had put together a collection of interlinked stories with recurring characters – Jewish twenty- and thirty-somethings searching for love, identity, and transcendent meaning, in Jerusalem, London and New York. The book is both tragic and comic; the characters range from noble to downright nutty. After hiring and then parting from an agent, and searching for a good couple of years, I was fortunate to find a publisher. This book has been over nine years in the works and I can’t believe it’s finally out. Y: In major and obvious ways. 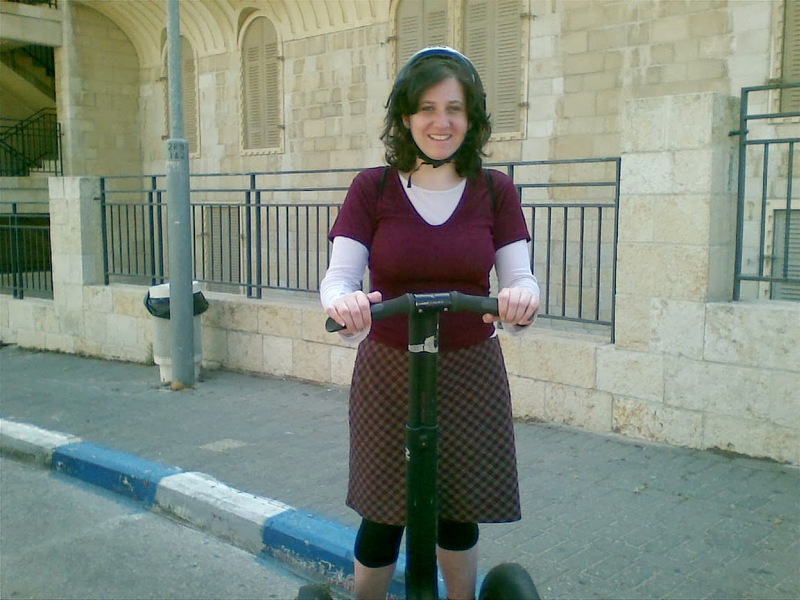 For my first book I was able to interview dozens of people who knew the subject of my biography personally – she lived in Jerusalem. For The Hidden of Things, many of the stories are set in Jerusalem, with the characters being Jewish young adults from countries such as England, South Africa and America who have gravitated to the city for its special brand of spiritual life and its nature as a singles mecca. They suffer from the dual challenges of being immigrants and the exhausting dating system, endlessly searching for someone to make a life with. I know this world intimately, belonging to it to a large extent, and my characters are composites of myself, friends and what I invented from my murky mind. Other social groups in Jerusalem make brief appearances in the book and there are hints to the conflicts taking place between religious and secular, Arab and Jew in the region. But this is not a political work, it is about ordinary people trying to make sense of things that refuse to be nailed down easily. Thank you so much, Yael! 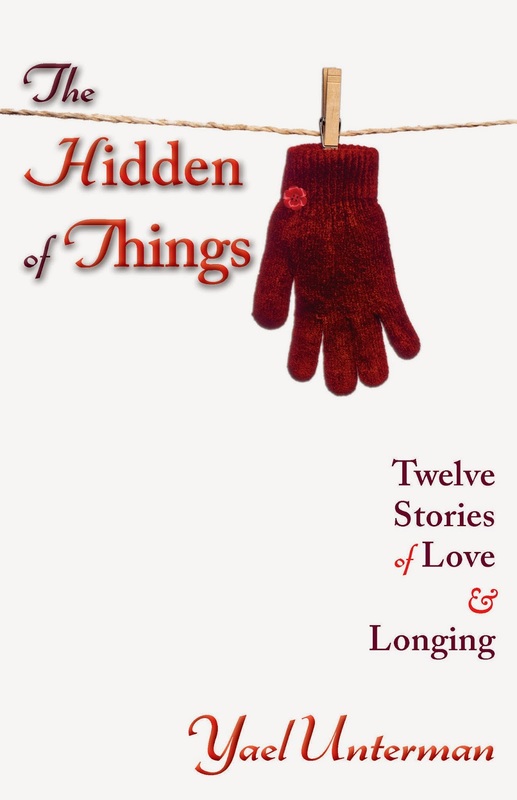 You can find out more about The Hidden of Things: 12 Stories of Love and Longing by clicking the title, including excerpts and information for where to buy the gorgeous paperback or the instantly-readable ebook (yes, I am trying to come around to ebooks, I really am! Sigh.) I highly recommend Yael's wonderful stories, whether or not you are or have ever been single, whether or not you are Jewish, whether or not you've ever been to Jerusalem or fancy going. What is more human, more universal, than love and longing?